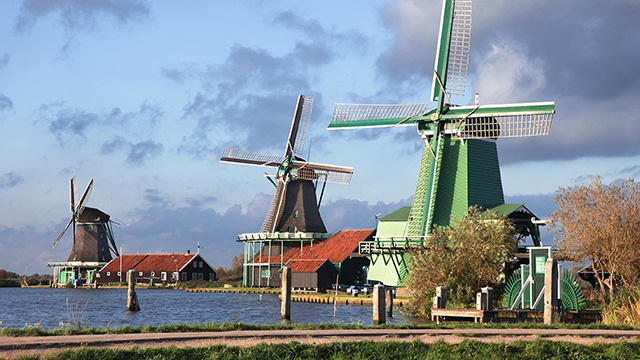 Discover two of the most enchanting and beautiful Dutch villages in one tour! During the Giethoorn & Volendam tour you will get the chance to visit and explore these two towns. This tour includes a boat tour with a guide that can tell you everything about these two iconic towns. Explore Volendam, one of the oldest fishing villages along the Markermeer. It’s famous for its picturesque sights, colourful wooden houses and delicious fresh herring. During the Volendam tour, you will be taken to a cheese factory where you will also have a cheese tasting and learn all about stroopwafels (syrup waffles) at an authentic Dutch bakery. Besides that, you will be able to take a stroll through this Dutch village that still has a lot of its authentic features. Volendam is famous for its fish. Since it has always been a fishing village you can taste all kinds of fish here in the fish shops. You should really visit the harbour to see all the old fishing boats. And of course a walk through town is really worth your while. You will be amazed by the remarkable architecture and the small alleys that are so typical for this part of the Netherlands. Try not to get lost in all these small streets, because this part of town isn’t called ‘the maze’ for nothing. It’s a wonderful place to just wander around and enjoy the view and the nice people of Volendam, while eating a stroopwafel. Giethoorn is an enchanting, magical place. The village without real roads offers some unique sightseeing opportunities. Since there are no roads and only waterways, you need to travel by boat. 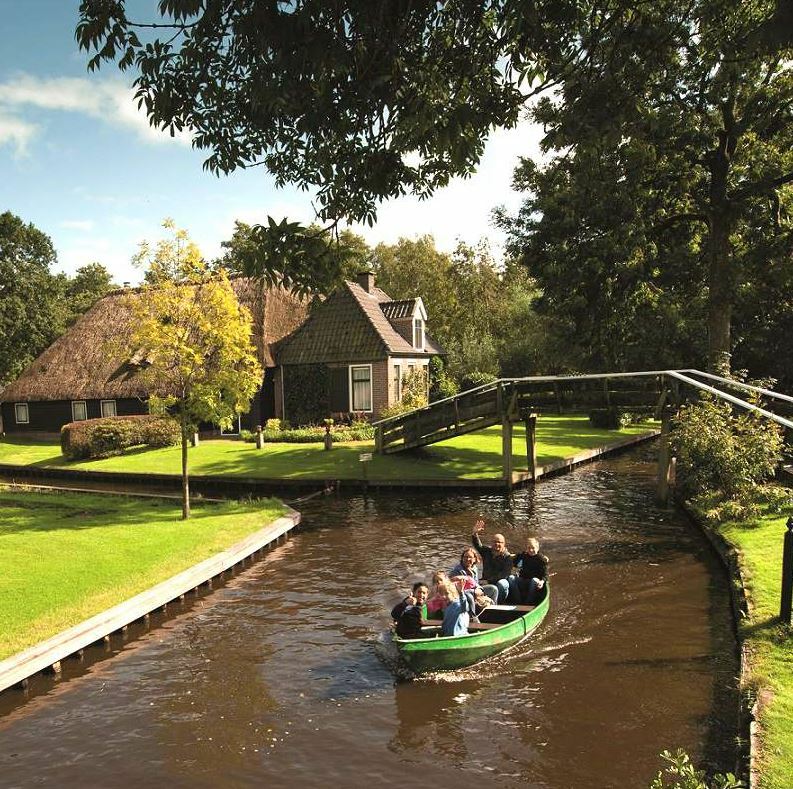 During the Giethoorn tour you will cruise through the picturesque canals and see the traditional wooden bridges and old thatched roofs of the farmhouses that line the waterways. There will be time for you to explore the town at your time and have lunch (not included). After lunch you will be taken to the Houtribdijk, which is one of the largest dikes in the Netherlands, before continuing to Volendam. Giethoorn truly is a peaceful place, but in the summertime it can be quite crowded. The Dutch really like to go to Giethoorn to rent a small boat or canoe and enjoy a day on the water. Once you’re there, you will understand why because a day in Giethoorn makes all your stress disappear. Of course there are many international tourists as well. But the crowd can’t take away the beauty of this part of the Netherlands, that is also called ‘Dutch Venice’. Once you arrive here, you will understand this nickname immediately. Discover two of the most beautiful and exciting villages in the Netherlands: Volendam and Giethoorn. Giethoorn is famous for its picturesque canals and old farmhouses, as well as having no roads or cars. Volendam is an old fishing village that’s known for its colourful wooden houses and its lively harbour. Visit some of the highlights of the two towns and get a chance to explore them at your own pace. This tour is one of the best additions to your visit to Amsterdam. It will be a nice variation during your stay in Amsterdam. The city is wonderful and exciting, but taking a glimpse of the country outside of Amsterdam will make your visit extra impressive. During your trip to these two towns you will see a completely different side of the Netherlands. Enjoy the landscape and the rural parts of the country and talk to people who have a different lifestyle than the inhabitants of Amsterdam. Make sure to get your tickets in time, since this is a very popular tour. During the summer the tour takes place on Thursdays and Saturdays. The group gets together at Damrak 26 in Amsterdam and the trip will last for about 9.5 hours. From Amsterdam you will travel to Giethoorn to have a boat tour there. 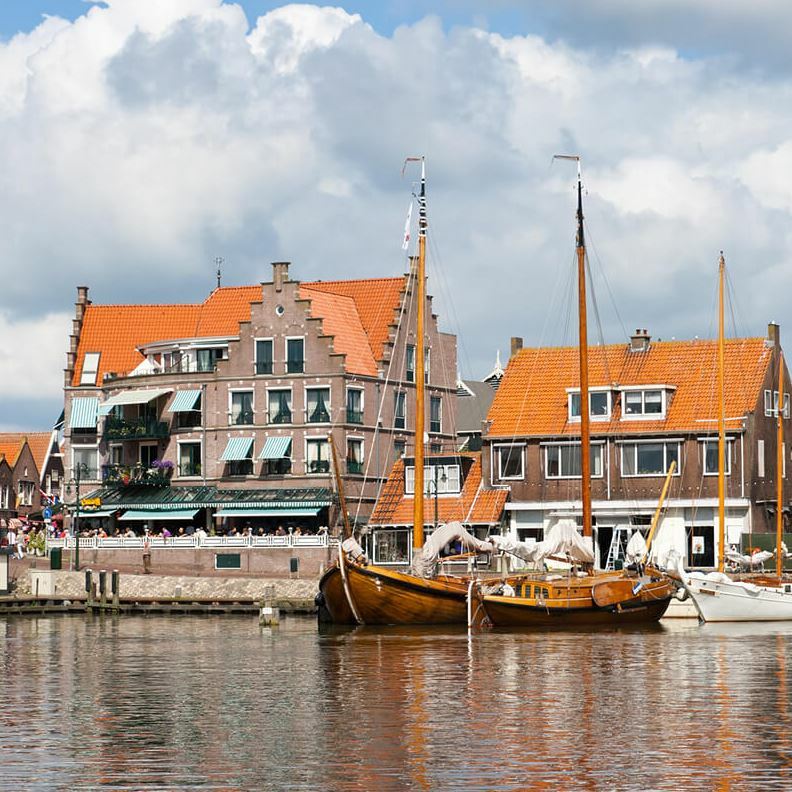 After some free time in town, you will go to Volendam to visit a museum and to have some time on your own to explore town. During the trip there is a guide in Spanish and English. Thursday and Saturday at 09.30 h.
From July 18th till September 3rd the tour will also depart on Tuesday at 09.30 h.